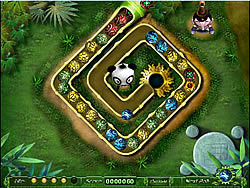 Colorful game of Kung Fu Zuma. You can throw more colored balls and form the necessary combinations of them with at least three identical items. You need to destroy those items in a timely fashion. Play fun ! !